I have always enjoyed watching science-fiction shows. Not just because of the new worlds that are created, but mainly because of the science behind the fiction. By creating storylines set in the future, artists (writers, showrunners, etc.) project themselves in the future and try to describe how it would be like, what kind of technologies would be used. So, is it so difficult to believe that what we watch in Doctor Who won’t become real one day? Imagination is driven by our knowledge of the world around us, inspired directly or indirectly by the artist’s experiences. Projecting a potential future, anticipating it isn’t as innocent as it looks like and I’m going to walk you through The Waters of Mars, because this particular episode is the best example of a potentially brilliant anticipation of a possible future. This plot actually features two keywords of this article: “Mars” and “water”. Now, let’s remember that the episode was broadcasted in November 2009 and that it wasn’t until the 28 September 2015 that NASA confirmed that there was proof of liquid water on Mars and less than a month ago, scientists determined that the readings indicated a sub-surface lake bearing water about 20 kilometres (12 mi) wide. The top of the lake is located 1.5 kilometres (0.93 mi) under the planet’s surface; how much deeper the liquid water extends remains unknown. There had been speculations of that fact, of course, but having The Waters of Mars exploring the angle of said presence of water is quite interesting, considering the scientific findings. First, let’s focus on the newspapers articles the Doctor remembers for instance. Those are proper articles that you can read and that tell you a dramatic story and how it influenced the future. The present (the base on Mars) triggers the future (the newspaper articles) in a way that could be compared to the work of an artist (the present) inspiring the future. 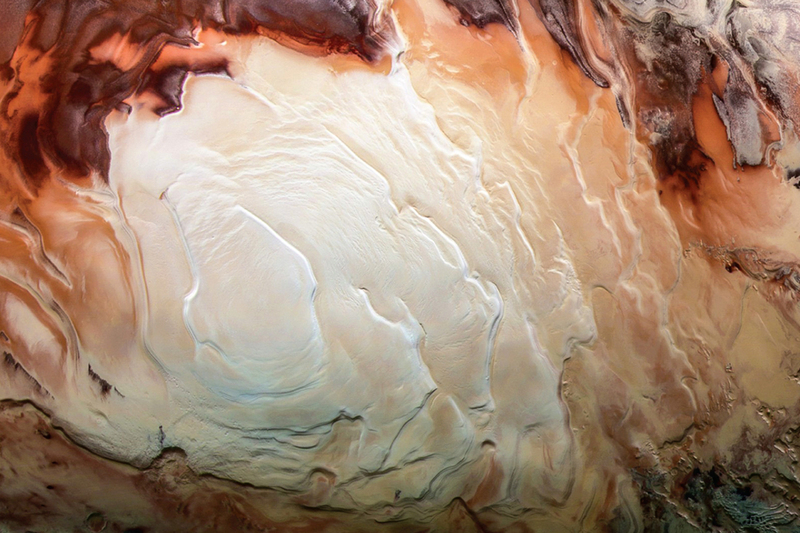 While the members of the expedition can only try to anticipate what would happen in the future, so does the artist imagining scientific facts such as the presence of water on Mars. Think about it: right now, we are in the Doctor’s shoes as we know about the presence of water on Mars while 9 years ago it was still a speculation! What does this record tell us? That it would be dangerous to touch the water for sure, but also that it would be dangerous to interact with an alien resource. At this point, I’ll simply mention another brilliant work of science-fiction: The War of the Worlds by H.G. Wells. It’s yet another example of the potential consequences when two alien worlds come in contact. In the end, The Waters of Mars can be considered as a warning about finding new resources and using them. Not only does the episode anticipate the future, but it also conveys our basic fear of extinction. Second, let’s focus on the Doctor’s dilemma, which is probably the part I liked best in this episode, because it was questioning the essence of the relationship between a Time Lord and time itself. Thanks to his memory of the newspaper’s articles, the Doctor defines the event of Bowie Base One as one of those points fixed in time that can’t be changed. And yet, considering he materialised on Mars, it is obvious that the meaning of his presence is to challenge him and his beliefs. It’s a variant of the famous “would you go back in time and kill Hitler if you had a time machine?” question. Traveling in the past is always a challenge because there are so many things that can go wrong – like a Time Lord deciding that because he is a Lord of Time he is entitled to bend the rules (while securing the events of the future in the process). When I read that The Waters of Mars had been initially shot to be the Christmas special, I was relieved that it wasn’t. In my opinion, The Waters of Mars should be considered a lecture on the dangers of “going boldly where no man has gone before”, be it on Mars or back in time. And since I’m quoting Star Trek, let’s have a thought for Steve Jobs, who was so impressed by the technology he saw in Star Trek that he decided to create it. That’s all it takes: a genius inspired by the science behind the fiction! But that’s another story… for my next article.